The largest room at De Morgan House, overlooking the garden and with adjacent catering area. Newly refurbished and with state-of-the-art video conferencing and AV equipment, the Cartwright Boardroom is situated on the ground floor with views across Russell Square. With connecting doors, these two rooms can be used separately or together. Ideal for small meetings or break-outs for larger events. Our second largest room, ideal for boardroom meetings up to 16. Welcome to De Morgan House Conference Facilities. 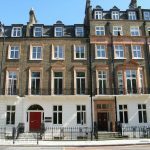 Located in Russell Square, central London we offer excellent transport links, an affordable pricing structure and contemporary facilities housed in a Grade II listed building. 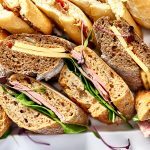 De Morgan House brings you a partnership with Eden Caterers to provide quality catering for all our events. A hidden gem in central London situated on Russell Square, a 3 minute walk from Russell Square station and a 10 minute walk from Holborn station. Mainline stations for connections in and out of London we are close to Euston, Kings Cross and St Pancras. The London Mathematical Society is a beautiful, centrally located venue. The staff offer an extremely professional and personal service where nothing is too much trouble and the catering is of a very high standard. The Hardy Room is light and airy with views out onto the garden and is a really lovely environment for our events- this venue truly is a joy to use!